Sep Vermeersch will take care of a Solo Track! 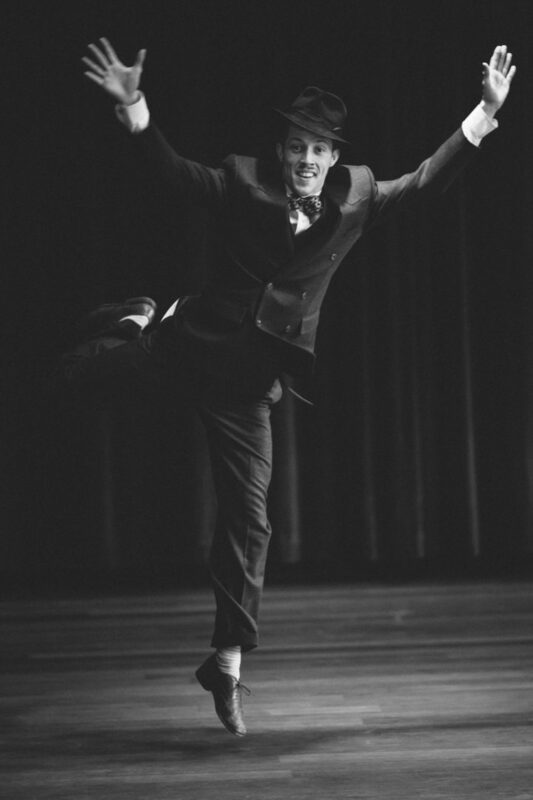 Known for his musicality, positive energy and dynamic movement, Sep Vermeersch is a versatile swing and jazz dancer. Sep started as a spontaneous dancer, shakin’ it in bars and at parties. This probably clarifies his unique and musical style. Today, you find Sep teaching and performing in different projects. From big public ‘retro-events’, to local classes and international festivals. He not only enjoys the charleston, Lindy hop or blues, but also dares to explore other ‘groovin’ dances and music. The combination of his daily practise, pedagogical education and his energising class style makes him a unique ‘character’ in the modern swing dance world.